With its sophisticated sheen and beautiful cool coloring, sterling silver jewelry is stylish and timeless. Whether you're shopping for earrings, bracelets, necklaces, or other sterling pieces, it helps to know a bit about this unique precious metal. Before you start shopping, educate yourself about recognizing genuine sterling silver and what makes a sterling piece high quality. It's also good to know about the unique qualities and advantages of sterling. In addition to sterling's beauty, there are many reasons to purchase jewelry made from this precious metal. According to the Mayo Clinic, sterling silver is hypoallergenic. It's a great choice if your skin reacts to other materials like nickel. Sterling is one of the most durable precious metals, which means that it's an excellent option for delicate filigree, as well as pieces that receive regular wear. Jewelry made from sterling silver will hold its value, since the metal itself is precious. This may not be true for costume jewelry made from brass and other materials. Sterling is considerably less expensive than gold, platinum, and other precious metals. 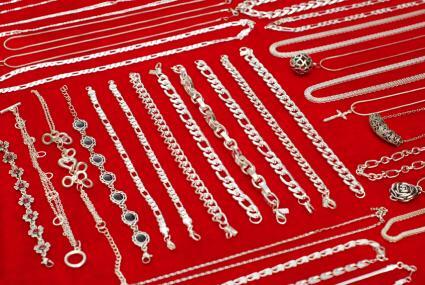 Although sterling is an excellent option for many different types of jewelry, there are a couple of things to keep in mind when selecting this material. While it's very durable, sterling silver is prone to scratches and scuffs. Over time, this can dull the finish. You can have pieces buffed or professionally refinished to correct this, but many people prefer this look. Silver can also tarnish, or develop a dark coating. Tarnishing happens when the metals in the sterling react to the sulfur in the air. Wearing your jewelry regularly protects it from tarnishing. Plan to store your pieces in a tarnish-resistant jewelry box or clean your sterling silver to remove the tarnish. The word "sterling" means that the jewelry is not pure silver. In order to enhance the durability of the material, manufacturers add other metals to silver. These can include copper, zinc, and other materials. According to Key to Metals, jewelry must contain 92.5% pure silver to be labeled "sterling silver." 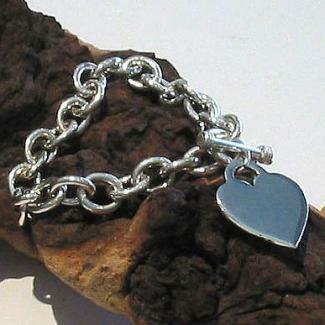 Unless your piece is a one-of-a-kind item crafted by a jewelry artist, it will be labeled "Sterling Silver" or "925." This makes genuine sterling jewelry easy to identify. If your item is hand-crafted, it should be accompanied by a certificate of authenticity. If you're unsure about the metal content of a piece, you can take it to a jeweler for testing. You can find all kinds of sterling silver jewelry online, including pendants, chains, earrings, necklaces, bracelets, ladies' rings, men's rings, and more. There are several shopping resources that specialize in this beautiful precious metal. With its gigantic selection and on-trend styling, Eve's Addiction is a great place to look for that perfect sterling silver item. You'll find everything from birthstone and mother jewelry to custom-engraved pendants and rings. In addition to the great selection, this store boasts a generous 60-day return policy, quick shipping, and free shipping for orders totaling more than $75.00. Reviewers on Epinions give Eve's Addiction four and half out of five check marks for its great service, awesome selection, and excellent quality. 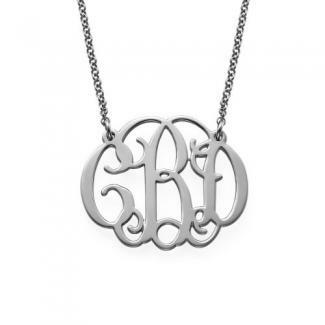 One complaint was the size and style of engraving, so if you get a piece engraved, be sure you examine the details about the typeface you choose. Specializing in all kinds of sterling jewelry, ZuluMoon is another great shopping resource. You'll find rings, pendants, cufflinks, birthstone jewelry, and many other styles. You'll also find sterling jewelry sets if you're looking for a coordinated look. Shipping is about $3.00, and there's a 30-day return period. Although ZuluMoon isn't accredited by the Better Business Bureau (BBB), they do have a rating of A on the BBB site. The BBB has not receive any complaints about this company in the last three years. The Sausalito Silver Company specializes in quality sterling jewelry with a beautiful handmade style. Here, you'll find spectacular, unique pieces that really show off your personal style. Prices are a bit higher than mass-produced items, but they are still very reasonable for the quality of the items. Sausalito Silver Company has a 14-day return policy and free shipping on orders over $75.00. Although there aren't any reviews of this business online, there are a number of customer testimonials on the website. Past customers specifically praise the beautiful, quality merchandise, fast shipping, and excellent customer service. No matter where you choose to shop for sterling silver jewelry, understanding a bit about this precious metal will help you find the quality piece you're looking for. Take some time to look at the options online and in stores before settling on a piece of genuine silver you'll love for years to come.